If there’s one thing I missed when I started eating Paleo it was bread. I missed toast in the morning, slathered with butter and jam. I missed sandwiches stuffed with meat and cheese at lunch. I missed having a roll with a bowl of soup at dinner. There was no two ways about it: bread broke my heart. But, as I soon began discovering, Paleo isn’t about saying no; it’s about saying yes to doing things a little differently. 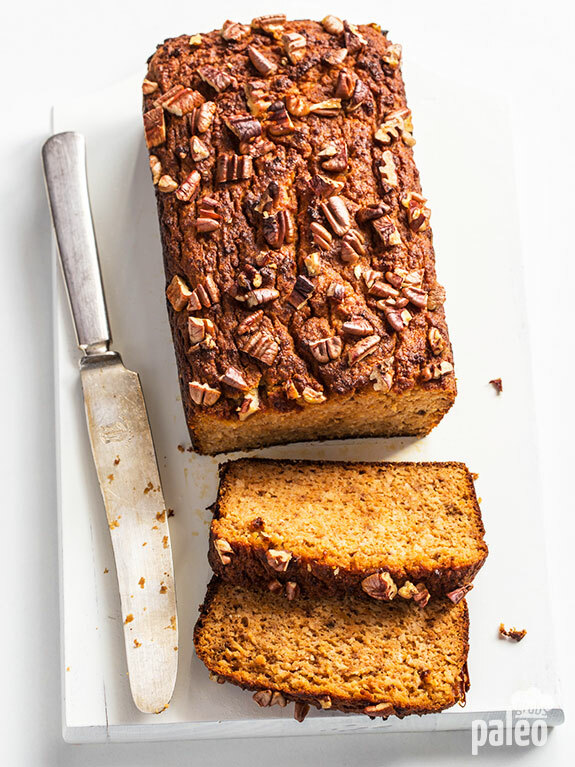 And this sweet potato bread with pecans is the perfect example. 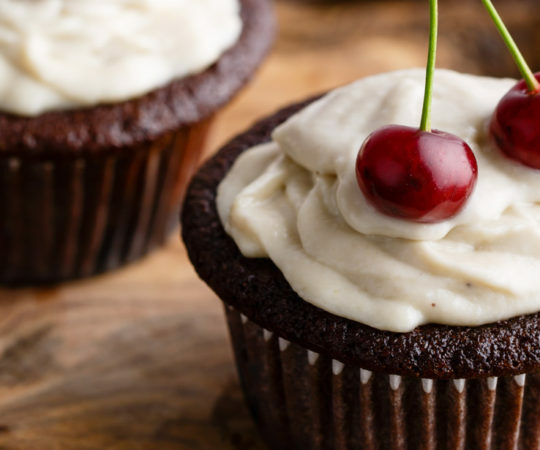 It’s absolutely delicious and has not a drop of wheat flour in it, so it’s perfectly Paleo. 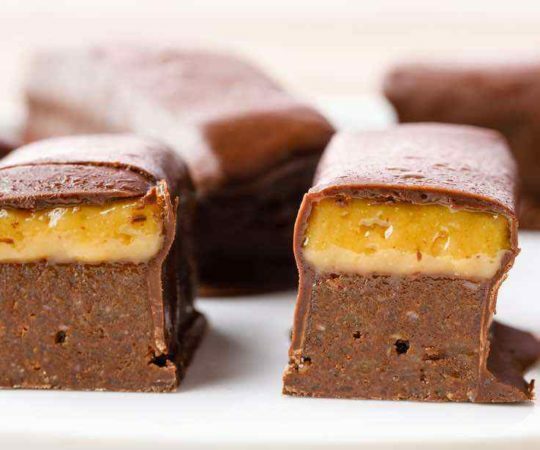 And just like the other Paleo things I’ve learned to substitute for what I formerly would have eaten, it’s not only a substitute, it’s ten times better than the original. Here’s what I mean…take away the wheat flour from bread and what are you losing? Carbs, and not much else. In place of wheat flour, substitute sweet potatoes, a little coconut flour, and some ground up pecans and what do you have? A bread packed with fiber, vitamins A & C, and a whole bunch of other good for you things. And, you get an out-of-this world tasty loaf of bread. 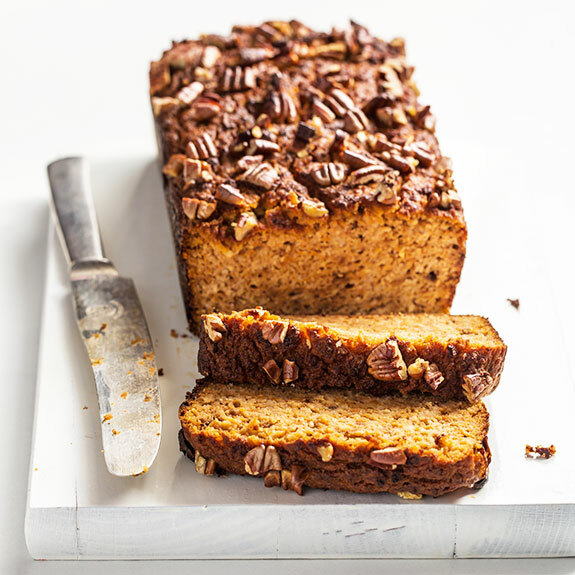 The bread itself has a subtle sweetness to it from the sweet potato but what really takes this bread to the next level is the addition of the pecan – both ground up inside the bread dough and chopped on top of the loaf. Health benefits aside, of which there are many in pecans, I love the bit of chewy-crunchy consistency after the pecans have baked with the bread and the sweet-nutty flavor they add. Pecans are my favorite tree nut for those very reasons! When this bread comes out of the oven I have a hard time waiting to let it cool. The aromas of vanilla, cinnamon, and ginger waft out of the oven and warm the whole house. It will get your appetite working and you’ll be ready to chow down right away when it comes out of the oven. But do let it cool some before you dig in. I like to have a slice when it’s just barely still warm and to put a little cashew butter on it. 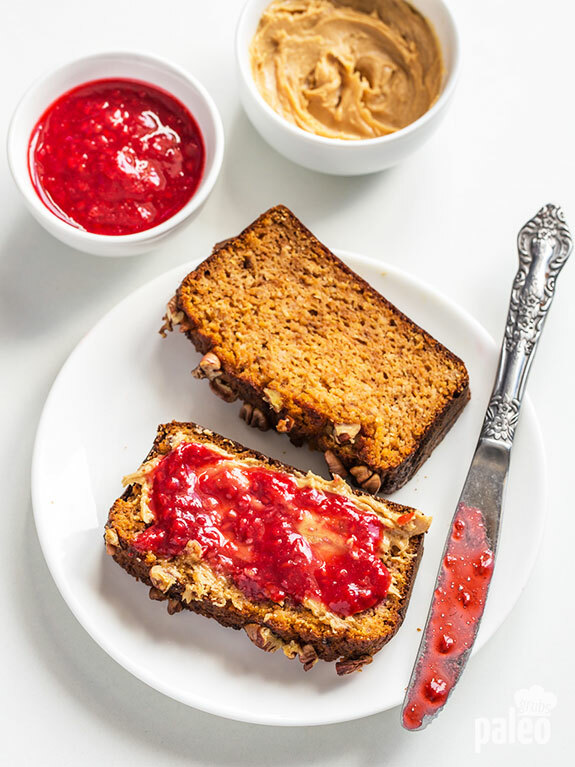 It’s also great with berries or homemade jam or honey – suddenly my breakfast isn’t missing its bread anymore! At lunch it makes a great sandwich with turkey or ham and it’s spectacular as a side to homemade soup in the evening. 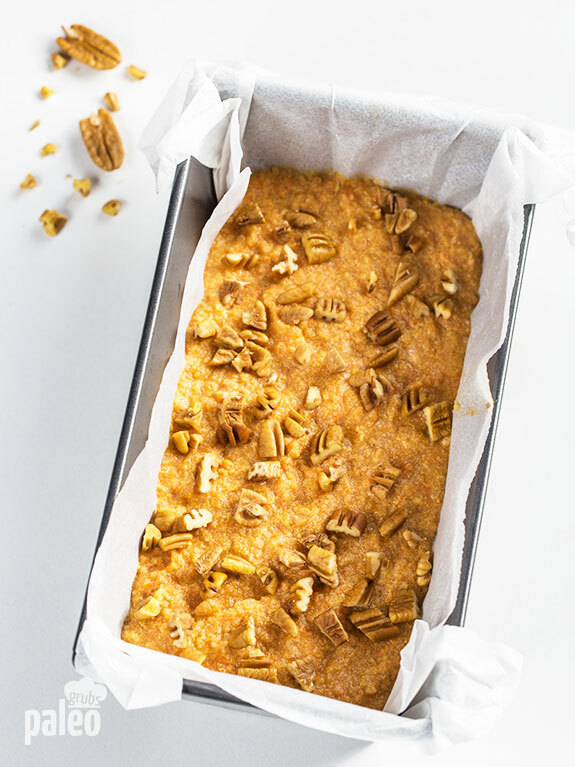 So sweet potato bread with pecans is just another example of how eating Paleo doesn’t restrict you; it opens you to new recipes that are packed full of flavor and vitamins and fiber and all sorts of other things that are good for you. Cut the sweet potato into 1 inch cubes. 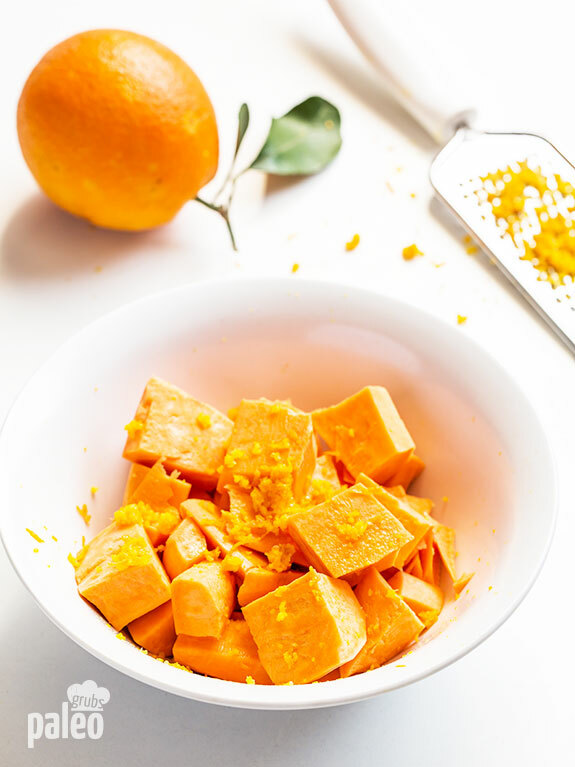 Place the potato cubes in a bowl, add the orange juice, 1 tsp orange zest, ½ teaspoon of cinnamon and olive oil. Mix to combine then transfer to a baking dish. Bake for 30 minutes. Remove from the oven and let cool slightly. Place half of pecans in a food processor and grind them. Add the sweet potato and puree until smooth. Add the coconut flour, baking powder, remaining orange zest, remaining cinnamon, ginger and baking powder and pulse a few times until combine. Add the eggs, coconut oil, honey and milk and process until combine. Line an 8×4 inch loaf pan with parchment paper. 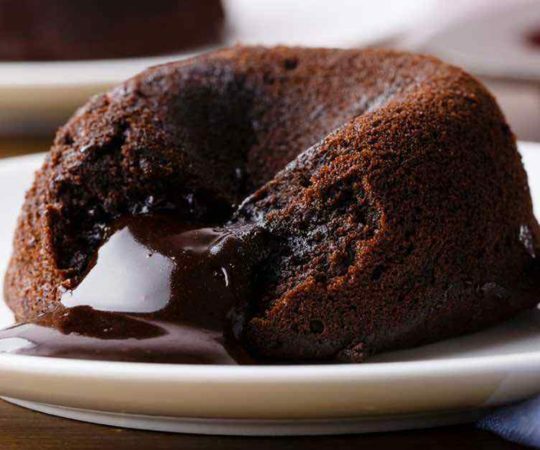 Pour the batter into pan. Chopped the remaining pecans and top the loaf with them. Bake for 50-60 minutes or until toothpick inserted in center comes out clean. Cool in pan for 15 minutes then transfer on a cooling rack. Cool completely before serving. 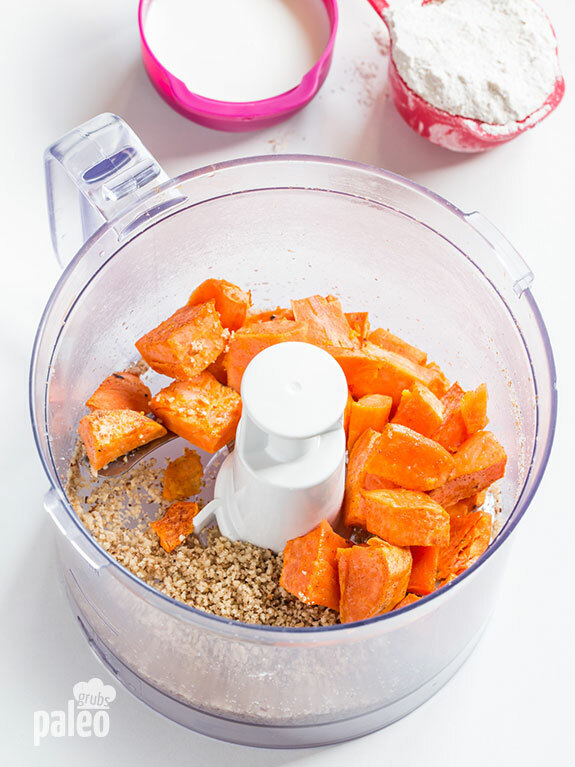 is it possible to replace the sweet potato with pureed pumpkin? I didn’t try it, but I think it would work. Do you melt the coconut oil before measuring it? 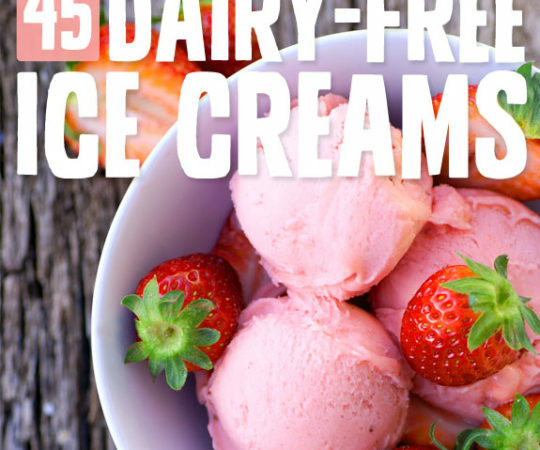 This is absolutely delicious! Thank you for posting it as it will probably now become one of my favorite breads to make. This is fantastic!! I’m not a huge fan of the Orange and sweet potato combination so I might leave off the Orange zest, but I LOVED this bread! Do you happen to have the nutrition information? I really want to get this recipe baked correctly, I am not able to achieve perfection. My bread rises in the oven, then when it is cooling down, flattens to 1.5 inches and gets very moist inside, just like the dough is undercooked. Any tips? 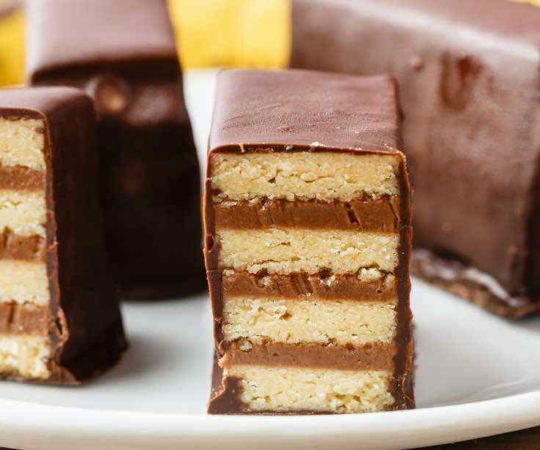 SOS baking help! My daughter-in-law can’t have pecans. 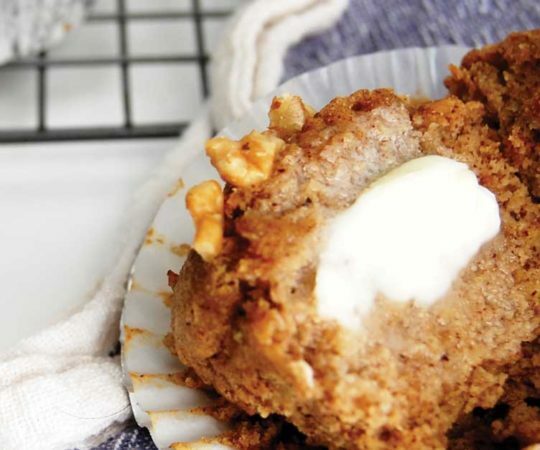 Could walnuts be substituted? Your recipe sounds incredible however I want to make something everyone can enjoy. Coconut milk in a can with the fat or a carton?